When it comes to Monolith Soft, the first you’re bound to think of is Xenosaga or Xenoblade Chronicles, but there is more to Monolith than just their Xeno related titles. From both Project X Zone games to Dragon Ball Z: Attack of the Saiyans, they’ve even been involved with two Zelda games having helped with conceptualising sub-events, field layout designs and writing some of the text for The Legend of Zelda: Skyward Sword, whereas for Breath of the Wild, they’re level designers helped to make the topographic arrangements. 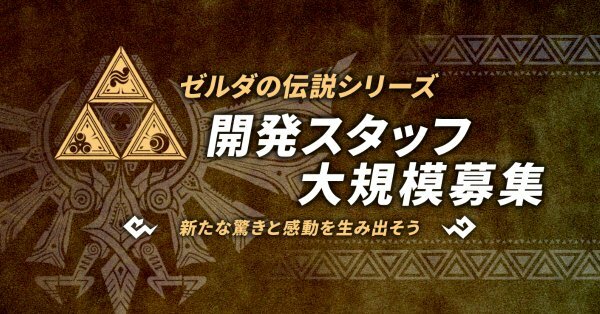 In light of that, it should come as no surprise that Monolith could be involved with another Zelda game and today, the powerhouse that currently consists of 193 employees, is now looking to expand their development team to work on an upcoming game for The Legend of Zelda. The positions in which they are looking to fill, are for technical artists, designers, programmers, planners and a project manager. This job post also comes four months after Nintendo’s own recruiting effort back in November 2018, for a level designer. While now is not the time for speculation, given the fact Monolith Soft have been involved with 3D Zelda games, these events do come across as Monolith are hiring for work on a 3D game as opposed to them being involved with Link’s Awakening. Can’t rule anything out though as Monolith also helped with A Link Between Worlds. Hopefully, we’re only a year or two away from an announcement on what this game may be.